We Help Individuals Buy and Sell Homes In Baltimore, MD. We’re Ready To Deliver Results On Your Terms. Our clients, Dave and Tana, on their big day! Are you looking to move to Baltimore, MD and need a real estate agent? 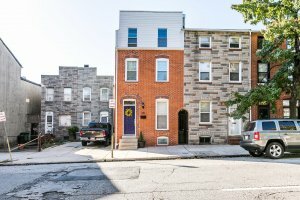 Do you currently live in Baltimore, MD and looking to list with a Realtor? No matter your situation, if you want to buy or sell a house in Baltimore, MD then you should contact us at AE Home Group right away. We have a long track record of working in Baltimore and all surrounding areas and know what’s needed to get these transactions done! We are here to help you obtain your goals in Baltimore, MD. We believe that each of our clients deserve honesty and best-in-class service . We’re a team of local, trusted Realtors that have helped dozens of individuals (just like you!) navigate the real estate market and reach the closing table with a winning contract. What makes you guys special as Baltimore Realtors? Even if another Baltimore real estate agent couldn’t get the job done, we can help. We’re problem solvers and have been trusted to handle some of the most complicated real estate transactions in Baltimore, MD. When work with us you’re working with the confidence of a team of experienced professionals. We’ve seen it all and will fight on your behalf to ensure that you are treated honestly and fairly in this competitive real estate market. Our focus is on you, the client. You can read about our team here. Talk is cheap, but a track record says it all. We’re proud to boast the stories of our outstanding Baltimore clients. Working with us isn’t just about conducting a real estate transaction, it’s about building a relationship that you through your entire experience of being a homeowner. Whether you’re looking to buy another home down the line, or just want advice on making repairs, we’re always happy to help. You can read up on our clients’ stories here. We love working in Upper Fells! We work everywhere in Baltimore, MD and all surrounding areas. 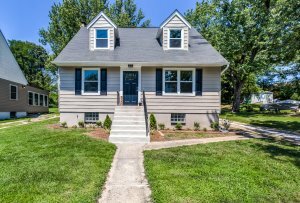 Whether you’re looking for a row home in Canton or a cape cod in Parkville, we’re here to help. We work in any price range and promise top-notch customer service no matter the budget. Your time is valuable I we will work around your busy schedule to make shopping for a home in Baltimore, MD a no-hassle process. We believe that educating our clients is a critical component to any successful transaction in Baltimore. Maryland real estate can be convoluted for a homebuyer but AE Home Group spent years making this process simple and easy to understand. You no longer have to sit back and hope that your real estate agent is working in your best interest. AE Home Group gives you the tools to not only buy a home, but fully understand what is going on along the way. Whatever your reason for selling, we’re honored by the privilege of helping you reach the next stage of your life. With this privilege comes significant responsibility. Your home is likely one of your most valuable assets. As such you want to make sure that the sale of your Baltimore property is handled properly. This means professional marketing, high quality photos, and a listing agent who responds quickly to potential buyers and communicates with you throughout the entire process. Baltimore, MD is a competitive market and AE Home Group can provide you the competitive advantage you need to get the sale price you want in the timeline you need. 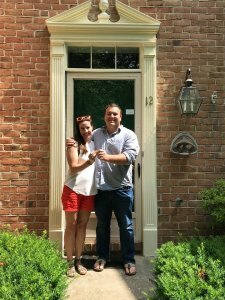 If you have a need for a real estate agent or Realtor in Baltimore, MD or any surrounding area then AE Home Group is the perfect fit for you! Our goal is to make your life easier and take the complexity out of buying or selling a home. We work fast and will get back in touch with you SAME DAY. What do you have to lose? We helped clients all over the state of Maryland get to their desired destination. Give us a call and leave the rest up to us.